Things that make you go "Aww"
One Word can make a Difference! Is Pope Francis I the False Prophet? Almost 6 years ago when Barak Obama entered the White House people have been saying, "What is going on? ", "Obama is destroying everything," "None of this makes sense anymore." Actually, it all makes perfect sense if you understand the plans and the inner dealings of the Illuminati. 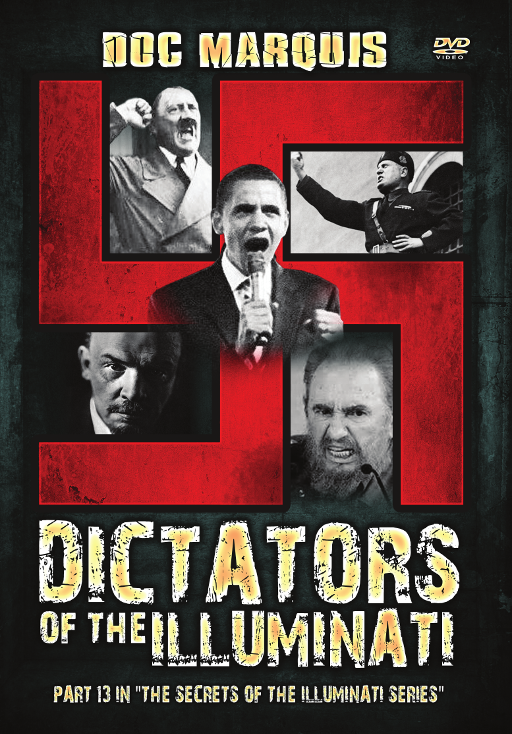 Barak Obama is following a very well-honed plan of the Illuminati, one that had also been meticulously followed by Lenin, Stalin, Mao Tse Tung, Fidel Castro, Adolf Hitler and other such dictators. This plan is so devious and deceitful that even with all of her media savvy, famed journalist, Barbra Walters said: "We thought that he (Obama) was going to be...the next messiah." National/International author, producer, lecturer and ex-Illuminati which, Doc Marquis takes us through the annals of history and reveals the origins of the Illuminati plan that past dictators had used to bring their nations under the subjugation of the Illuminati. Next, he will show how Obama is using the same Illuminati plan in the present time. And, then Doc will unveil how this same Illuminati plan will be used by the coming antichrist as found in the Book of Revelation. Doc Marquis has appeared on, and consulted for such shows as: The Oprah Winfrey Show, 20/20, Unsolved Mysteries, Geraldo Rivera, Inside Edition, Hard Copy, and dozens more throughout the world. He has also appeared on over 1,000 radio shows, published 4 books and has recently finished a 13 part DVD series exposing the inner workings of the Illuminati, called: "Secrets of the Illuminati". His new DVD series is scheduled for release in 2015: "The Occult Takeover of the World". As a graduate of Louisiana Baptist University, in Shreveport, LA Doc says: "I never would be where I am right now had it not been for the incredible education and encouragement I had received at my alma mater".